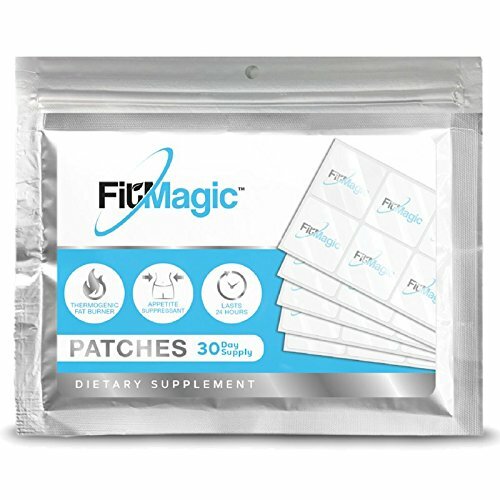 The revolutionary FitMagicTM Patch delivers powerful appetite suppressants directly through the skin - rather than the gut - maximizing their absorption, bioavailability, and circulation. Infused with a proprietary blend of all-natural Caralluma (Caralluma Fimbriata),Garcinia Cambogia, and Raspberry Ketone, FitMagicTM Patches deliver a sustained flow of fat-loss and appetite support that can last up to 24 hours. Take the mental struggle out of your diet! Apply one transdermal FitMagicTM Patch to your upper arm, shoulder, or back before breakfast. This is NOT a Dietary Supplement. This is a Transdermal Patch. Ingredients: Caralluma Fimbriata 10:1 Extract, Garcinia Cambogia 75% HCA, Raspberry Ketone. Warning: This is NOT a Dietary Supplement. This is a Transdermal Patch.